CUPE3908: Improve Public Health Care and say NO to cuts and Privatization! 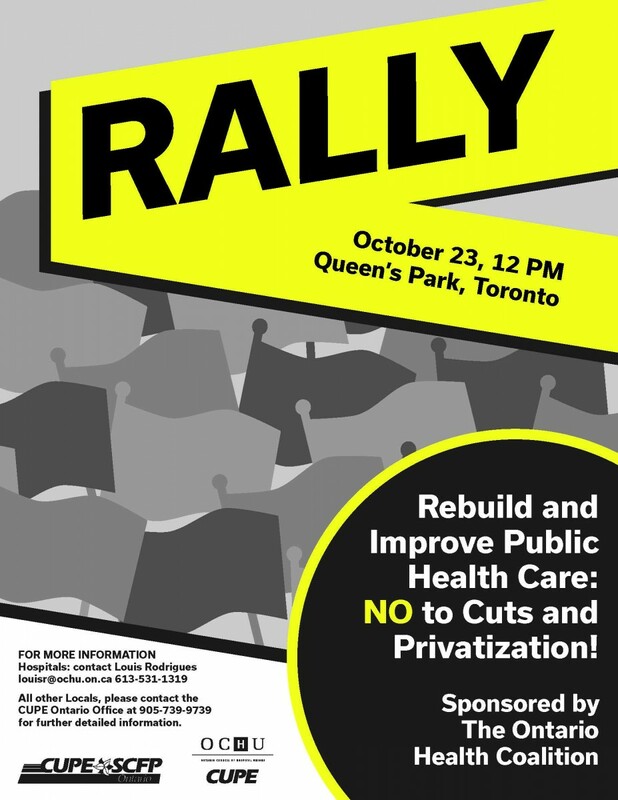 CUPE Ontario, sponsored by the Ontario Health Coalition, is hosting a rally to "Rebuild and Improve Public Health Care Rally". Join us as we demand the Ontario Government Rebuild and Improve Public Health Care and say NO to cuts and Privatization! The rally will be October 24rd at noon, at Queens Park. Have your voice be heard. Make sure the goverment knows that we need to say NO to cuts and privatization.